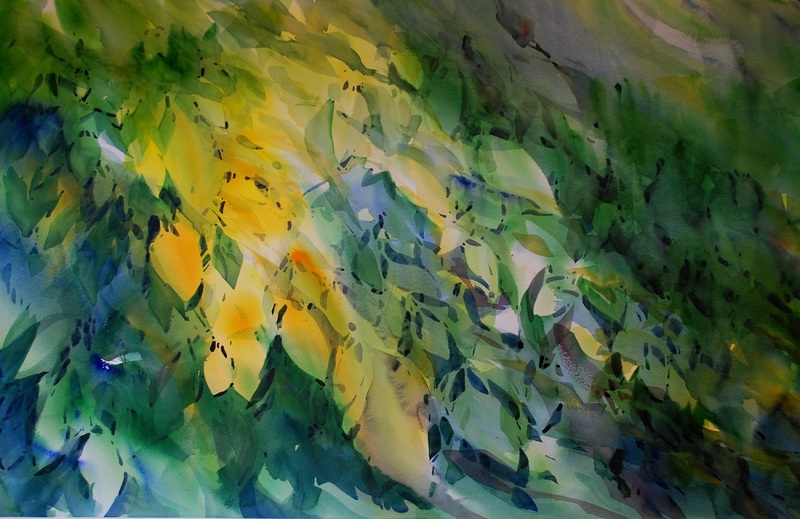 My paintings are consistent in traditional transparent watercolor technique…working to achieve the balance of light and shadow through a transparent glazing wash, allowing the white of the paper to delineate any and all white areas of the scene itself. It becomes a very disciplined painting style that simultaneously works to deliver a result exuding both spontaneity and control. 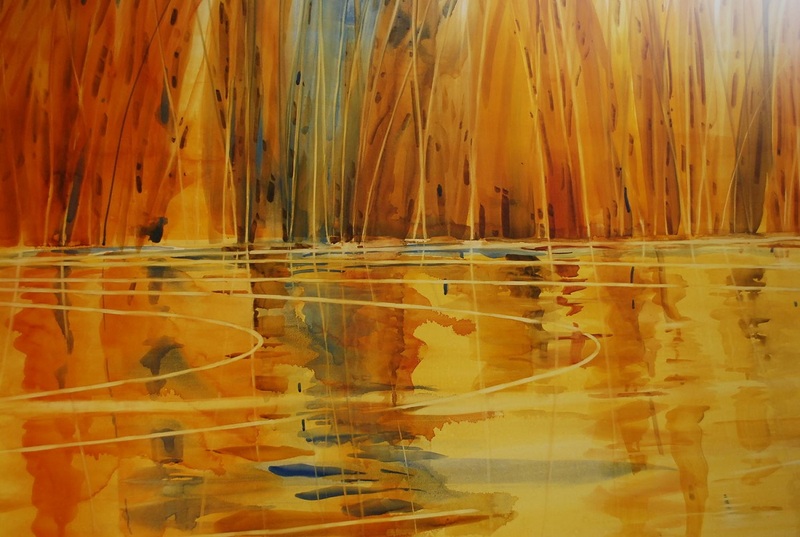 Within my landscapes, I paint with particular attention to design and balance of color/light. Much of my work is executed in a fairly large scale and large format by transparent watercolor standards. I enjoy the challenge of reining in a huge wash and working over the full sheet with the sweep of each color pass and the ability to weave details of color all the while defining form within form. My goal is to create a piece that is as interesting up close as it is simple and strong from afar. 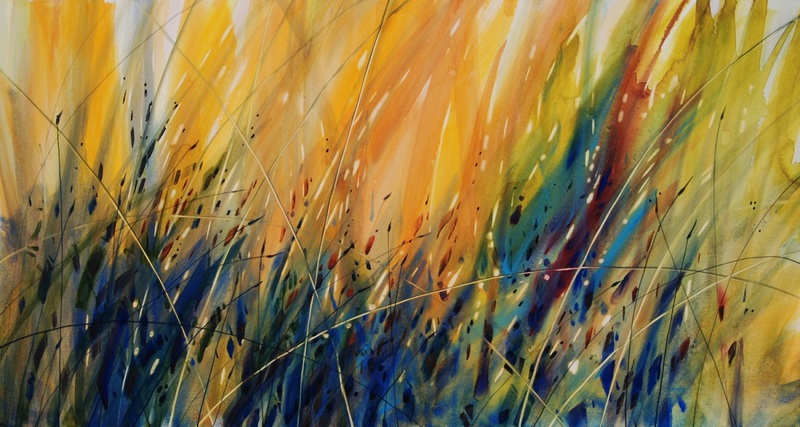 Recent works have ranged from 96”W x 45”H to over twenty feet in length. My preferred watercolor paper is Arches 300 # though the large formats have dictated the use of large masonite board with a gesso-like absorbent base coat. Once finished, a UV varnish is then applied eliminating the need for mattes or glass.